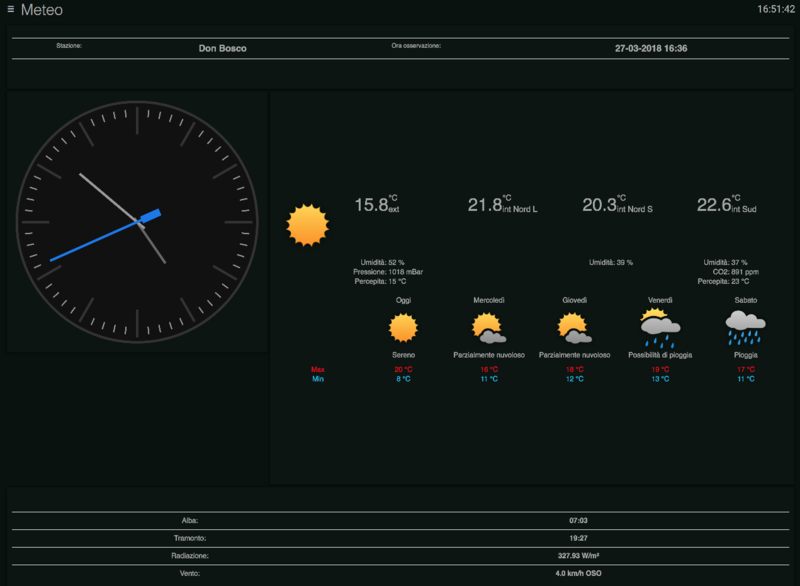 How to use the Netatmo weather station with OpenHAB. 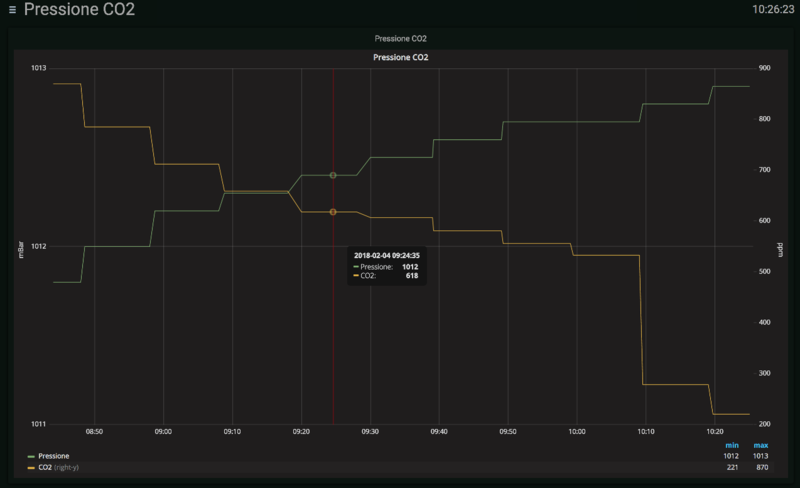 Note the graph above on the CO2 part. It’s in a bedroom and the line starts after a night of sleeping. 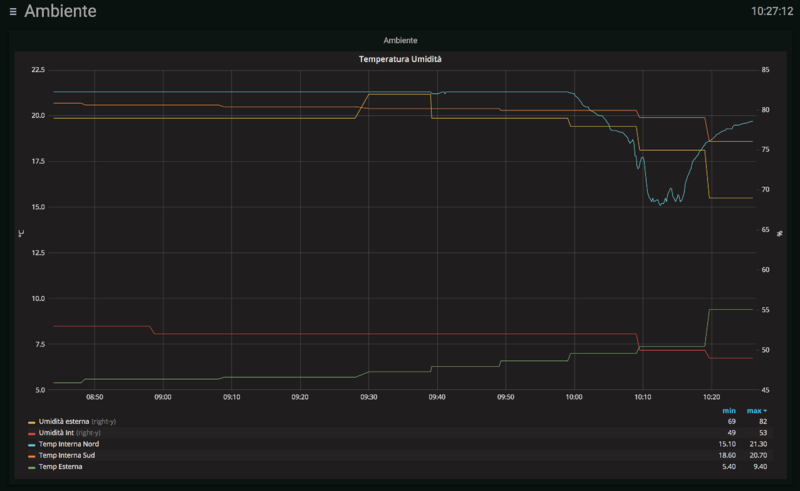 The CO2 concentration was in the alert zone. Opening the door the concentration decreases slowly in a safer zone. 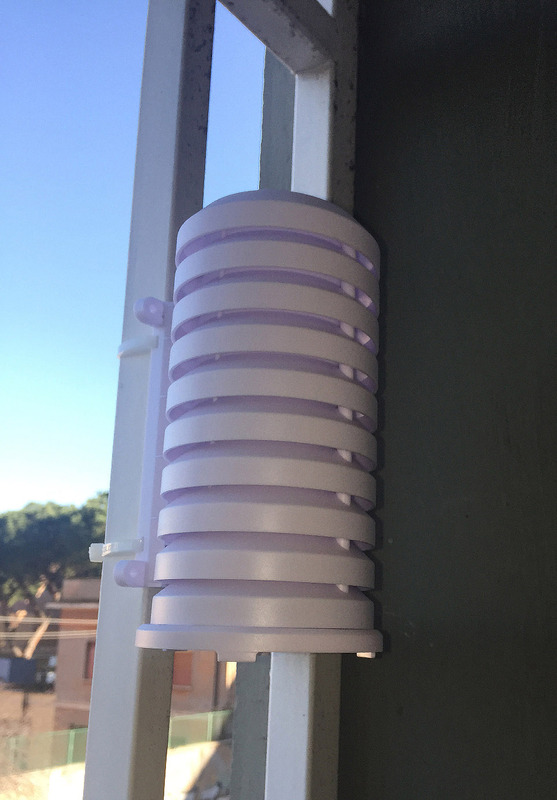 Then the windows have been open ventilating the room and the air quality became very healthy so quickly. 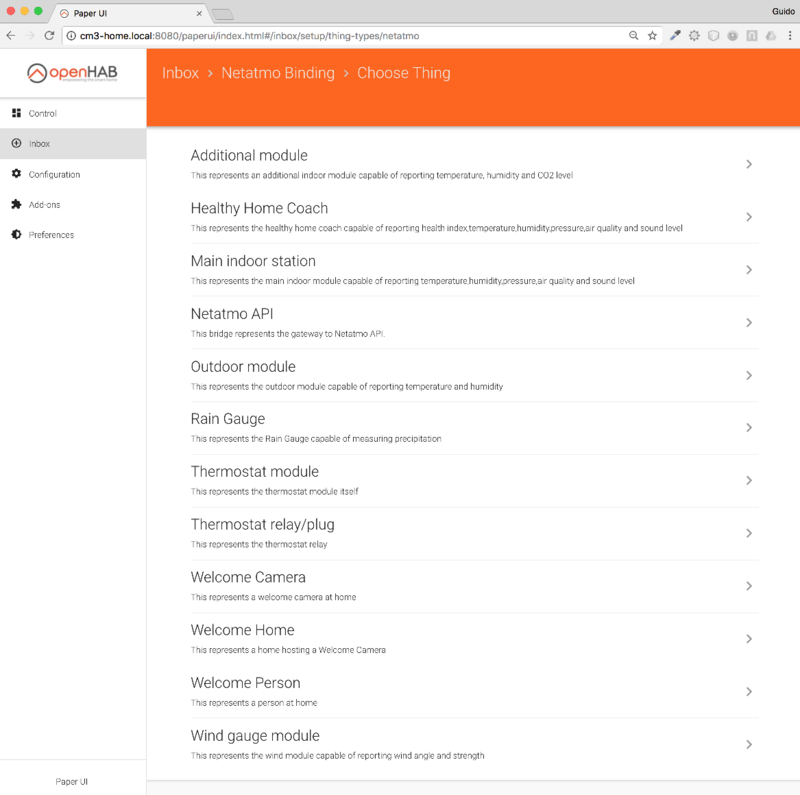 On the Netatmo installation manual it’s well explained how to arrange the sensors in order to have reliable measures. For the outdoor device it’s strongly recommended to put it inside a dedicated protecting cap like, for example, this one. 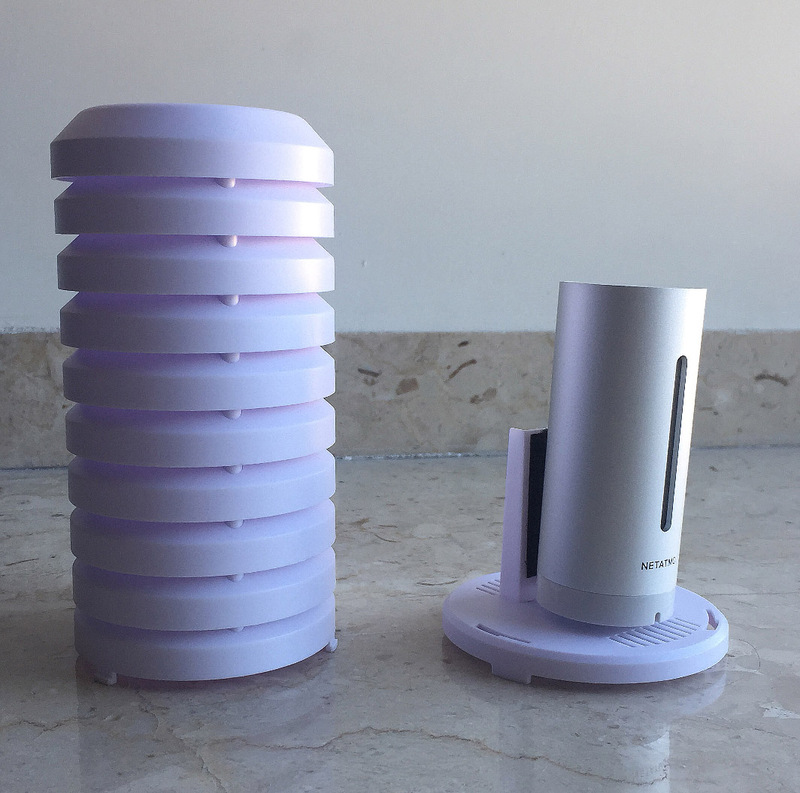 They are cheap, protect your device from weather and improve a lot the quality of the measures. 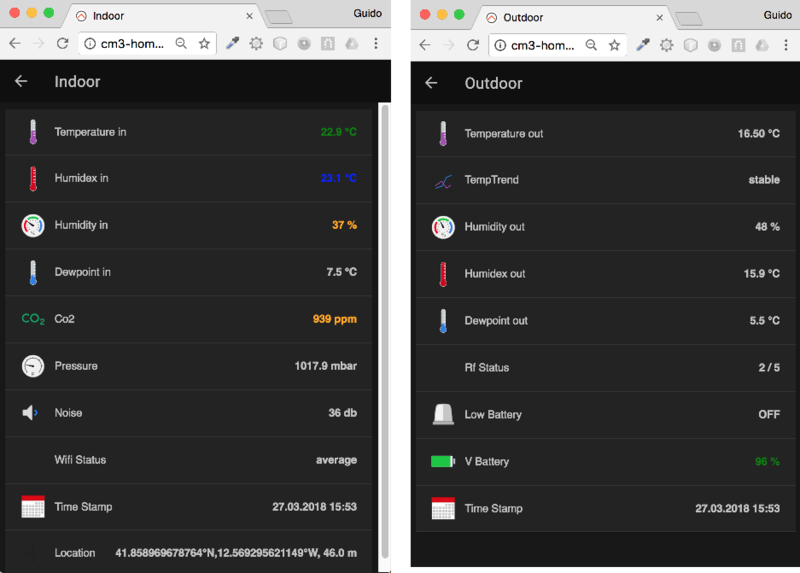 This article will describe how to connect a NETATMO personal weather station with OpenHAB. 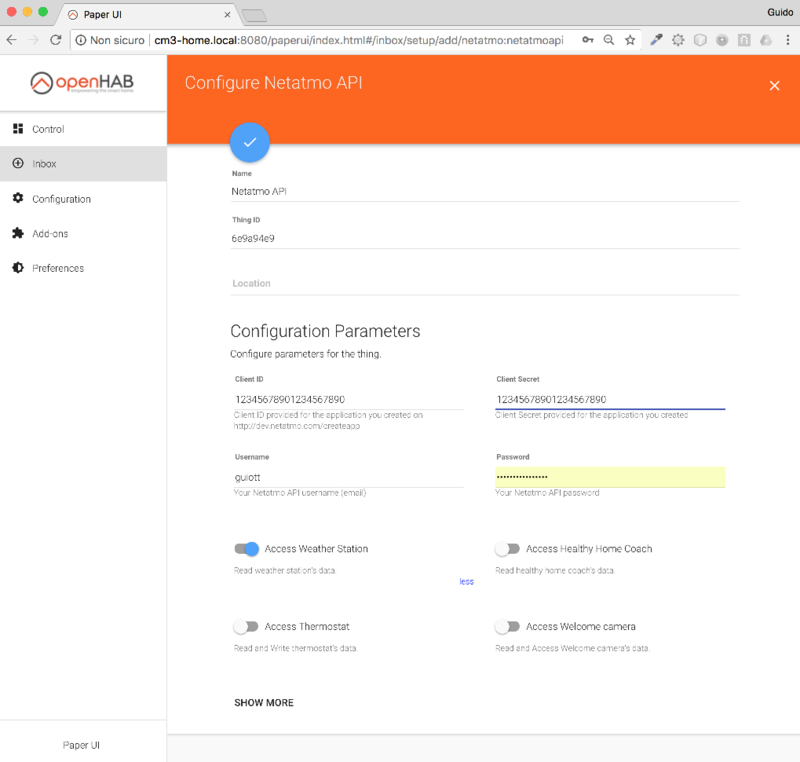 The OpenHAB Netatmo binding tutorial is good enough but, as usual, some precaution must be followed to achieve an up-and-running configuration without wasting too much time. Connecting the main unit to the computer through the supplied USB cable and starting the wizard, the devices will be registered, named and configured. 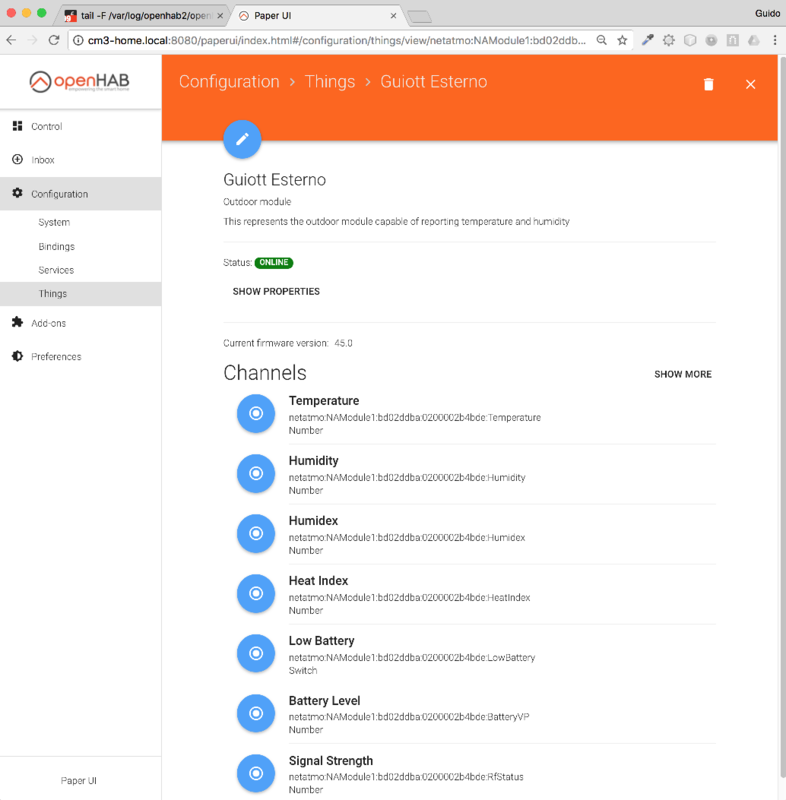 When the Netatmo API bridge is ONLINE (and ONLY when it’s ONLINE ) the things related to the devices can be added. It could be possible that it needs a reboot to be connected. Note! These configuration examples show fake IDs. 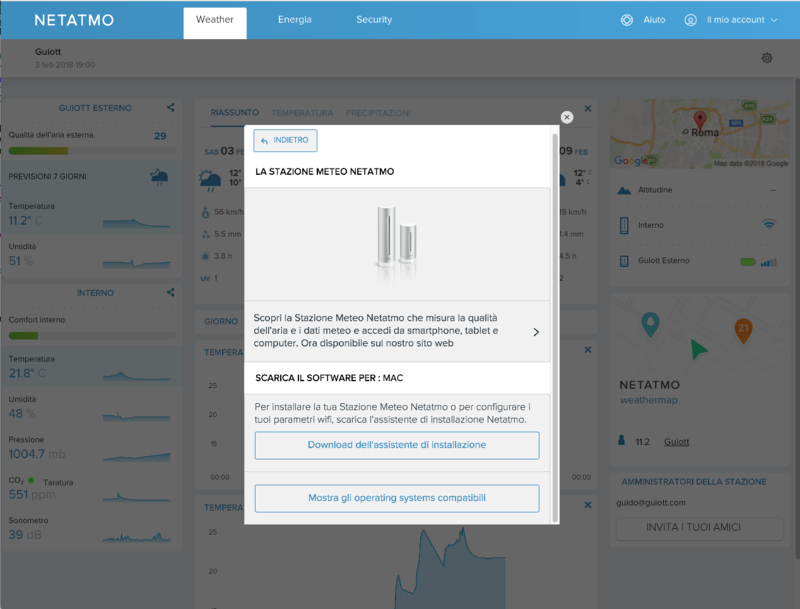 The configurations supplied must be updated with the correct IDs after registration. 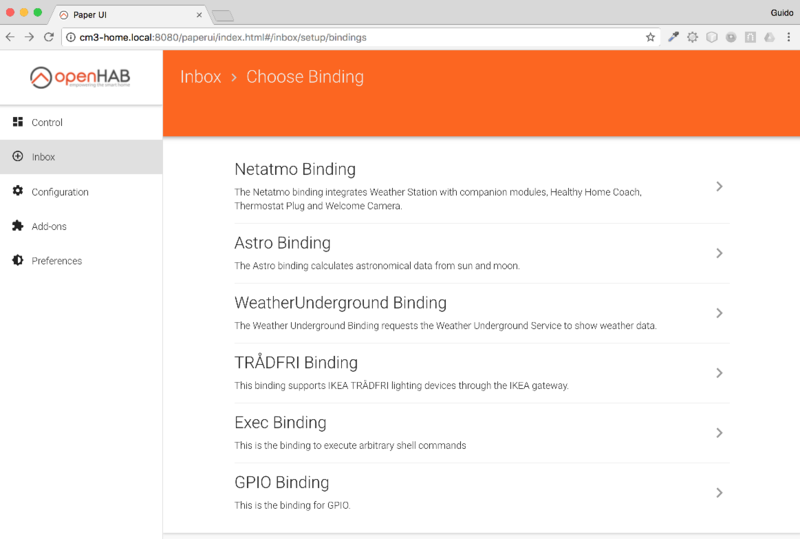 If the Netatmo API bridge is correctly installed and connected, the main and the outdoor devices parameters, configured on the Netatmo cloud, will be linked automatically to the things exposed by the binding, with the correct IDs and shown in the inbox ready to be confirmed. On the contrary on what the binding tutorial teaches, it’s better to use all the Paper UI automatic discovery features instead of writing down the things configuration files. This because the things parameters will be displayed only when all it’s correctly configured, step by step, and they will be correct for sure.